The first ever Bitcoin Fair was jam-packed to capacity at the Japantown Ramen Underground in San Francisco. However, QuickCoin co-founder Nathan Lands noticed that there was a lack of presence. An absence of women echoed throughout the event, as the majority of bitcoin’s demographic is made up of males, more specifically 32-year-old males. Lands said, “I invited lots of women”, but the majority of them did not show up to the fair. Founder of Bitcoin Beauties Sarah Blincoe sees women’s lack of presence in bitcoin as an issue. Most bitcoin related conferences, meetups and websites are lacking women. She hopes to address the problem. Blincoe is striving to make women feel comfortable with bitcoin. Her website will consist of female profiles that she labels as Bitcoin Beauties. The slogan for the company is “Beauty, Brains, Bitcoin”, meaning that women have it all in terms of looks, intelligence, and the ability to grasp the concept of bitcoin. Though the website is currently incomplete, it contains a photo collage of women portrayed in various art styles. The 26-year-old Blincoe refers to her members as “our beauties”. Blincoe put women using bitcoin as high priority in order for the digital coin community to grow. Female perspectives on the virtual currency can help shape the future of how bitcoin transactions are made. Until then, Bitcoin Beauties hosts weekly gatherings where women talk about bitcoin. The small gathering gets larger each week. A goal has been set to feature member profiles that include photos of the women, photographed by Blincoe. The profiles will also include their astrological signs, dreams the women aspire to achieve, and and how they’d utilize bitcoin. These features are expected to be up by the summertime. One member’s goal involves her opening up a multicultural facility of healing and art using bitcoin. 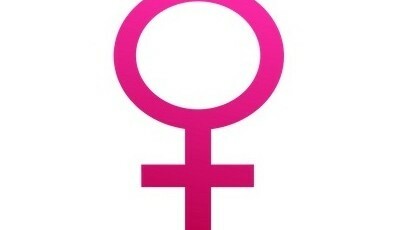 Another idea for the site is to have female bitcoin role models. Women already invested in the digital currency can show how they conduct business with it. Blincoe has already taken photographs of 25 different women for the site. Female participation is essential for bitcoin’s transition to the mainstream. Women have been under-promoted in the business and technology worlds long enough, and even more so in the bitcoin community. 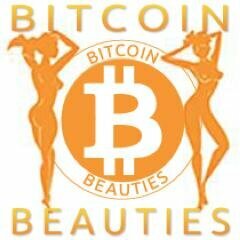 With Bitcoin Beauties, women can finally get a chance to add their input into the male-centric realms.